If you are looking for your local UK paintball centre you will be pleased to hear that we operate over 30 paintball centres in the UK. Finding your ideal paintball centre is easy. Simply enter your postcode or city in the box below to find your closest centre, choose a centre directly from the drop down list, or select your chosen location from the map below. 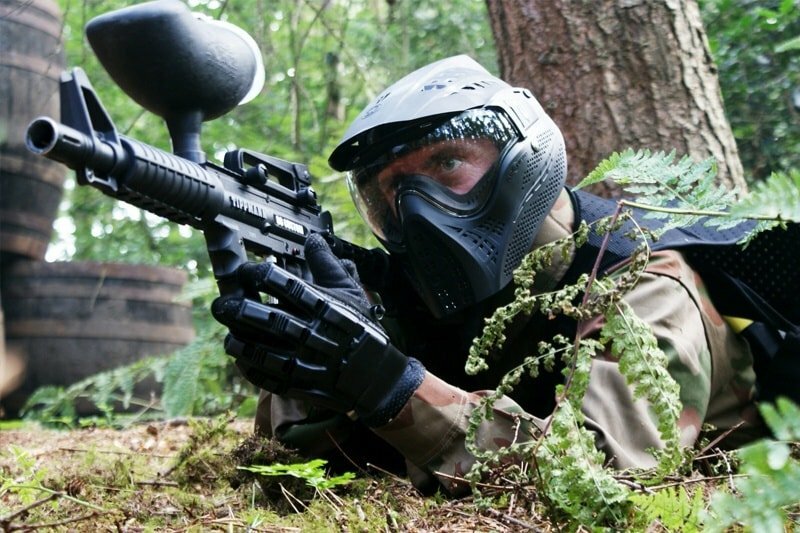 With Hollywood-inspired movie set game zones, state-of-the-art paintball equipment and a five star health and safety accreditation by the UKPBA, Paintball UK is the number one choice for paintball sports. Whether you're celebrating a kid's birthday, organising a stag/hen party or planning a corporate team building exercise, Paintball UK is the perfect host for any occasion. Follow in the footsteps of A-list celebrities such as Wayne Rooney, Usain Bolt and Lily Allen and book an unforgettable paintball experience with us today! To secure your ideal paintball date simply complete the booking form or call one of our friendly event coordinators on 0844 815 1755. Our phone lines are open 24 hours a day, 7 days a week for your convenience. We look forward to seeing you soon!